Most people at some point in their lives found themselves wanting to jump out of a nearby window and make a break for it rather than sit and listen to the most boring teacher ever ramble on about the most boring subject ever. With those kinds of teachers, school can be a real drag. One can’t help but wonder why teachers like that teach at all, because they must hate children to be that boring, right? Luckily, there are actually some teachers out there who enjoy their job, and make the most of it. 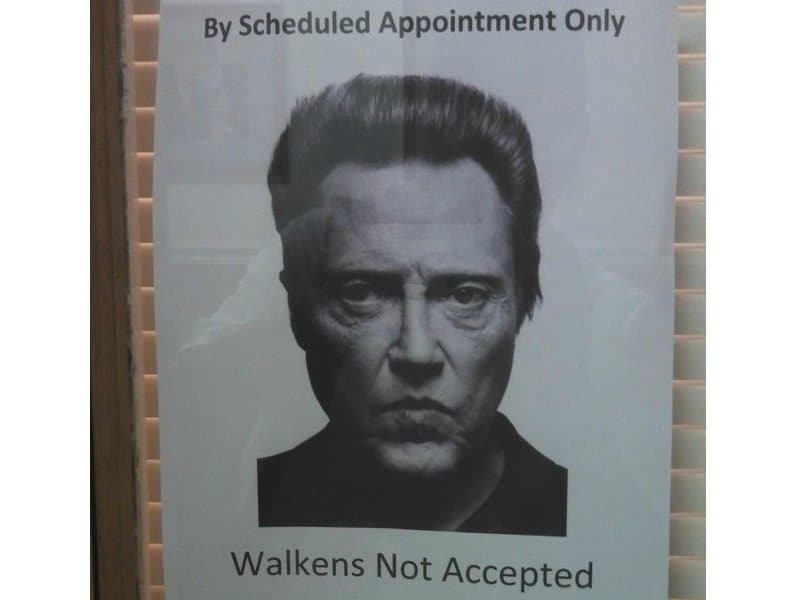 They even have a sense of humor to lighten up some of school’s most dull classes. 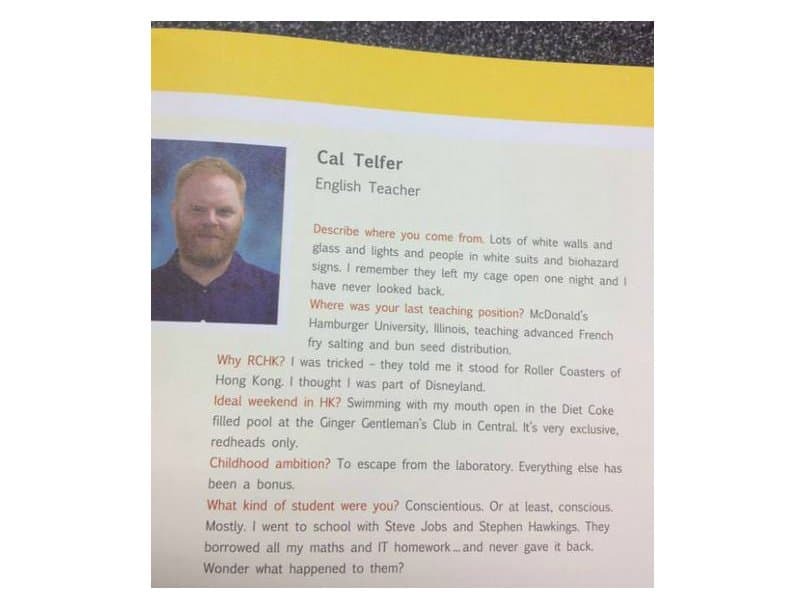 Compiled here are snapshots of some of the most witty and entertaining teachers out there. 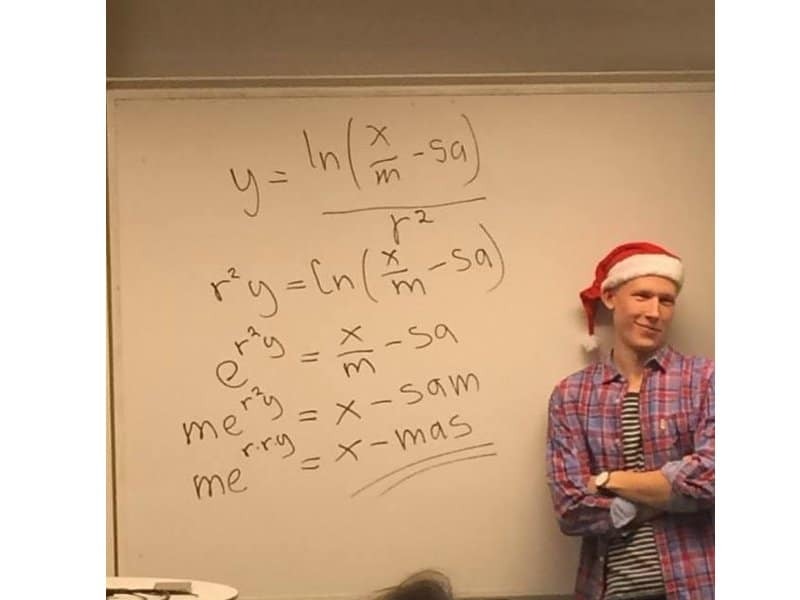 This teacher was able to use something as terrible as math to spread some holiday cheer. Props to him. This teacher is very aware of how terrible his or her pay is, and decided to do something really awesome about it. It benefits the teacher and those students who would otherwise get grounded by their parents. 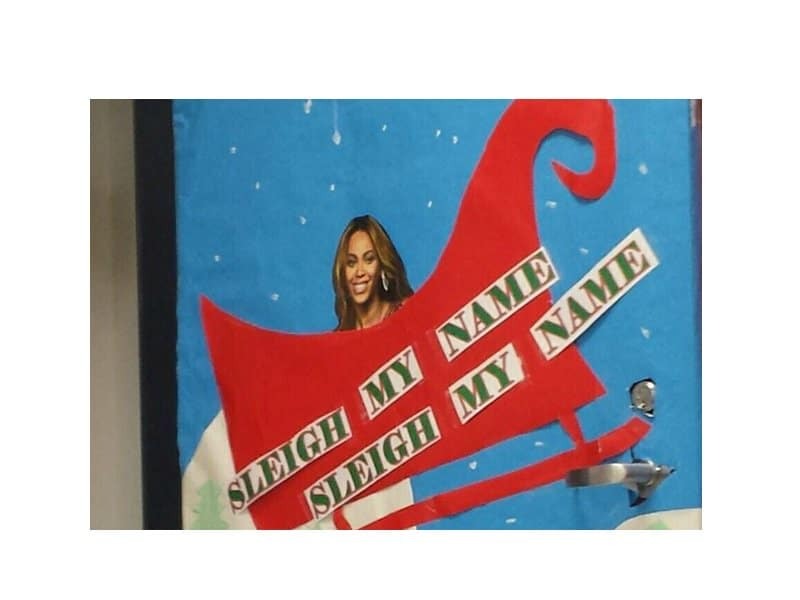 This teacher is up on all things hip and cool, namely Queen B. This fun and festive door makes walking into class a little less painful. If only every math question were like this one. 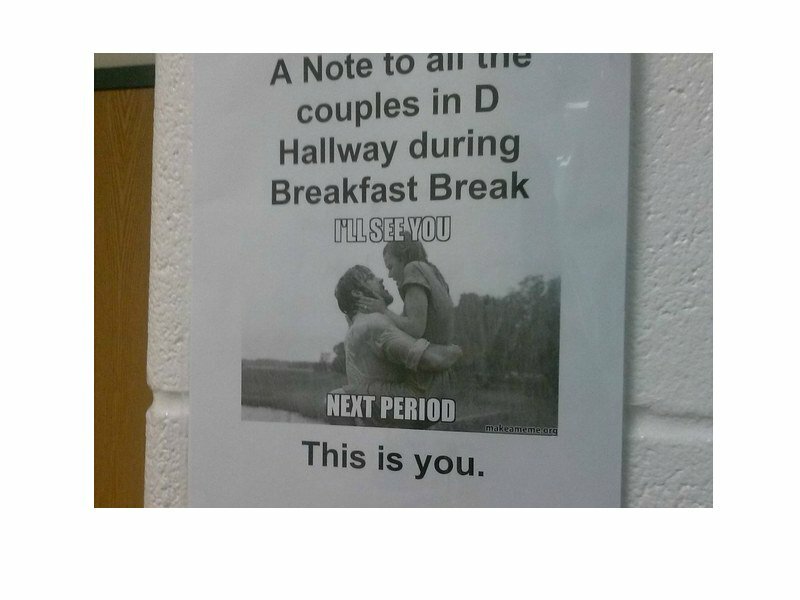 Everyone remembers those couples who couldn’t make it through a class period without making out with their significant other. 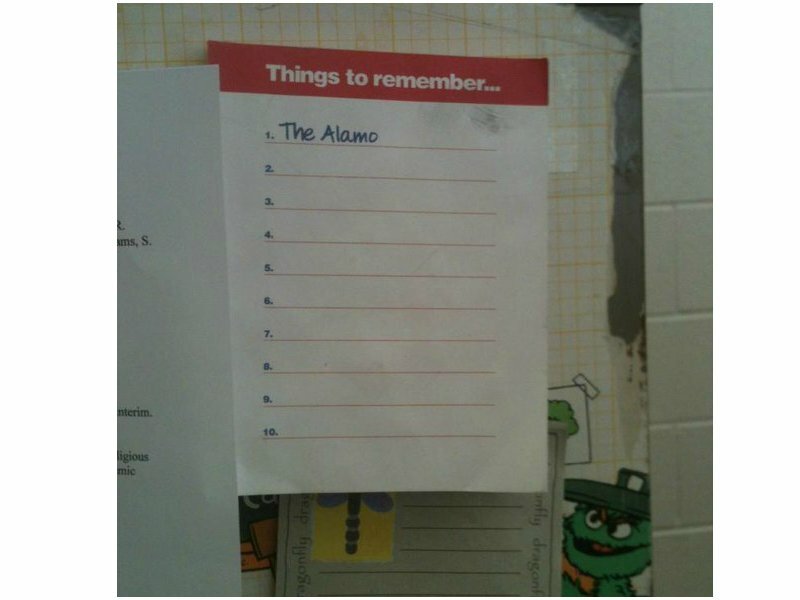 We applaud this teacher for calling them out. 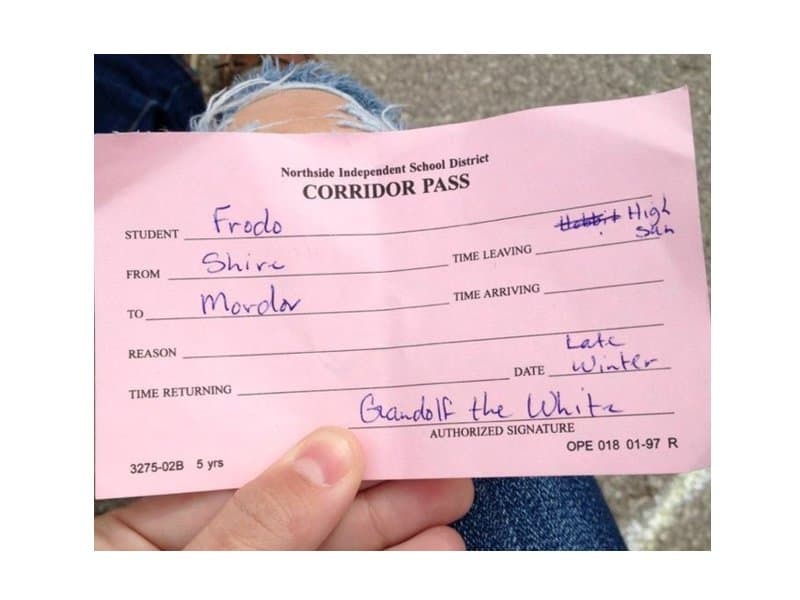 This person would make the best literature teacher ever. This teacher never misses an opportunity to spread knowledge and remind their students of what is really important. Forgot your pen? 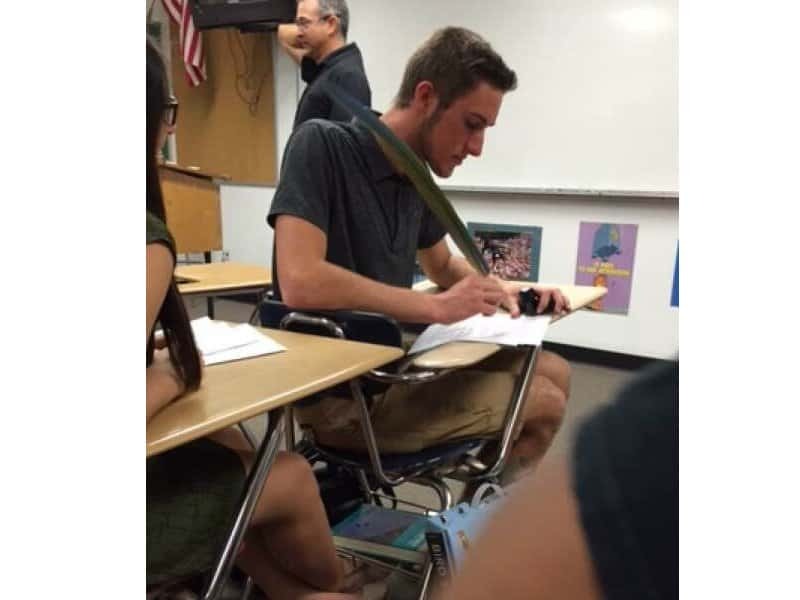 Fine, but everyone in the class is going to know it. 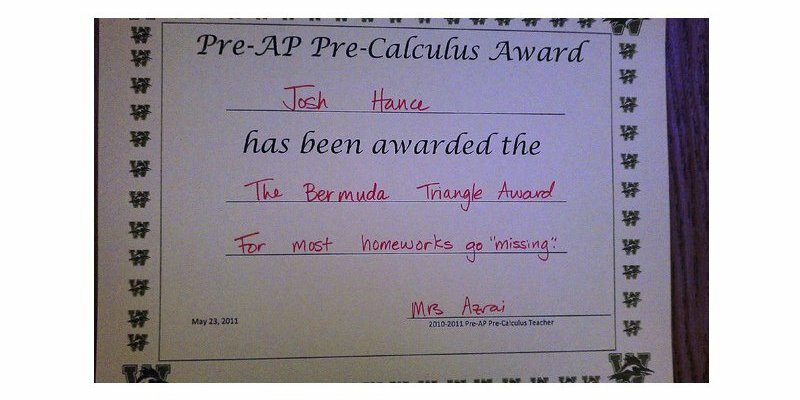 A math teacher with a sense of humor is a rare gem that every student should seek. It’s the only thing that can make math a little less painful. Obviously someone is still in mourning over his musical inspiration. 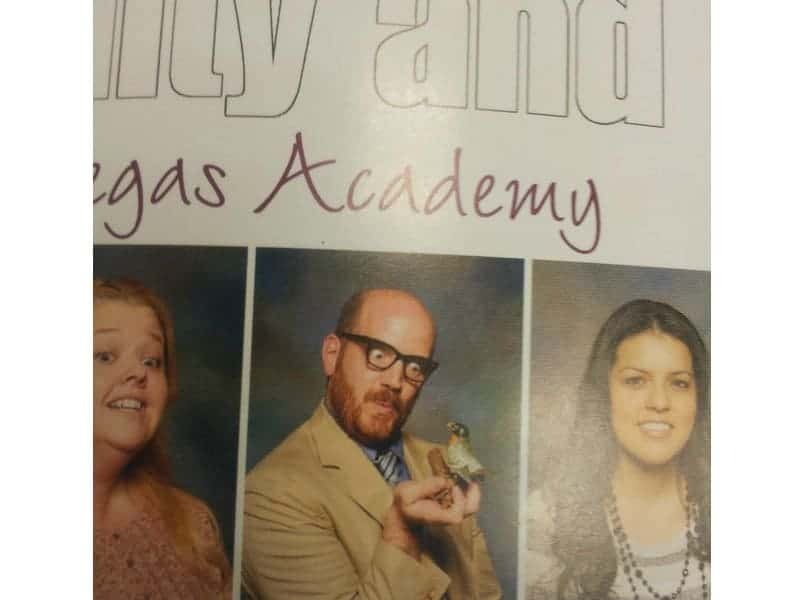 Why does he have a bird? Why does the woman next to him look a little insane? We don’t know, but it’s pretty great. 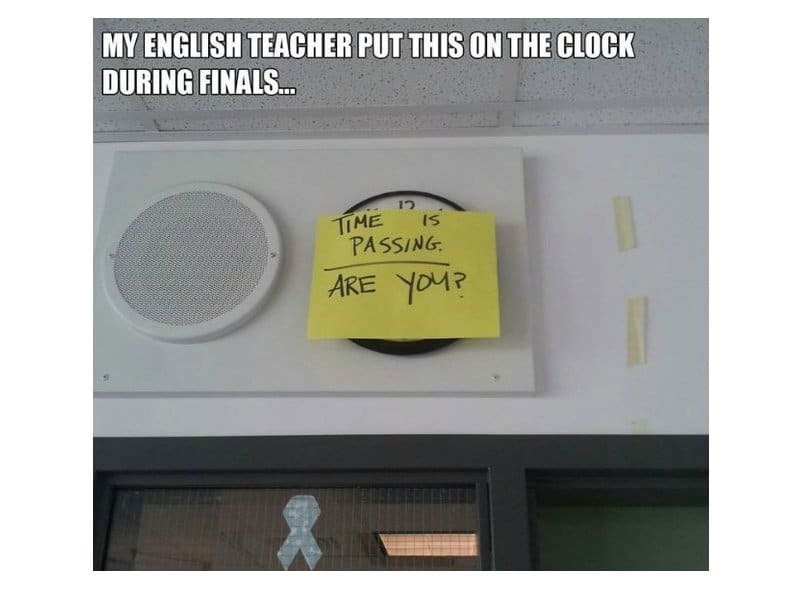 This teacher isn’t afraid to ask the real questions. 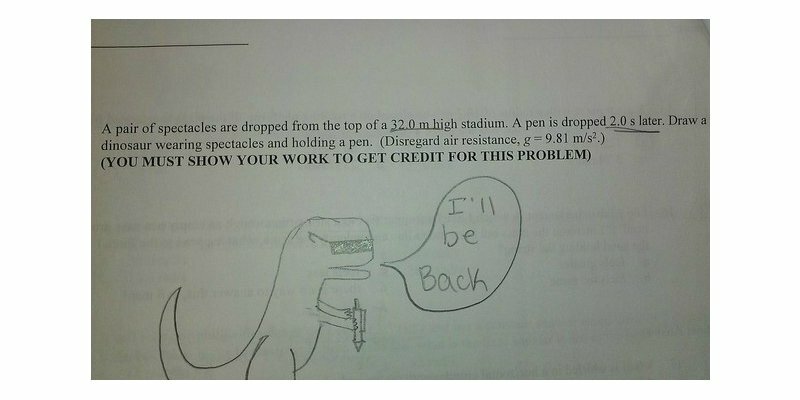 We bet this kept the students focused during their final. 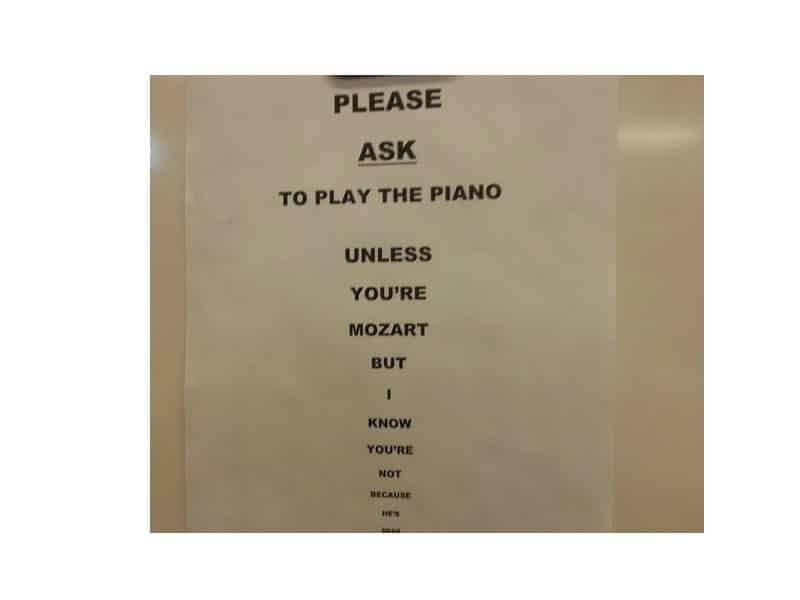 At least this teacher can add some humor to his rules. 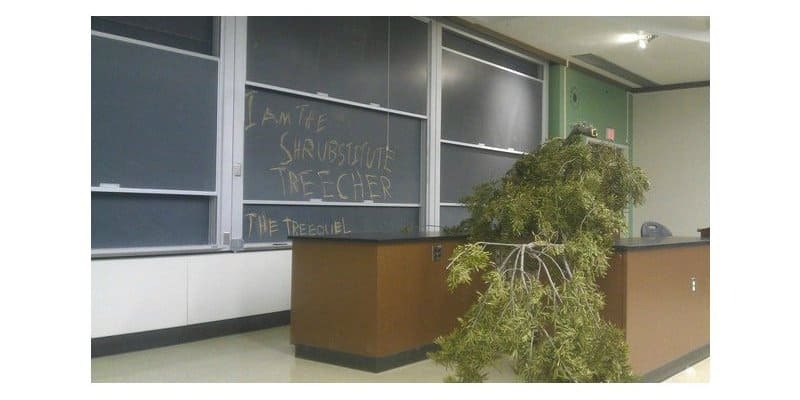 We don’t know whether to be more impressed by the double pun or the fact that someone actually brought this shrub into the classroom. Either way, well done. 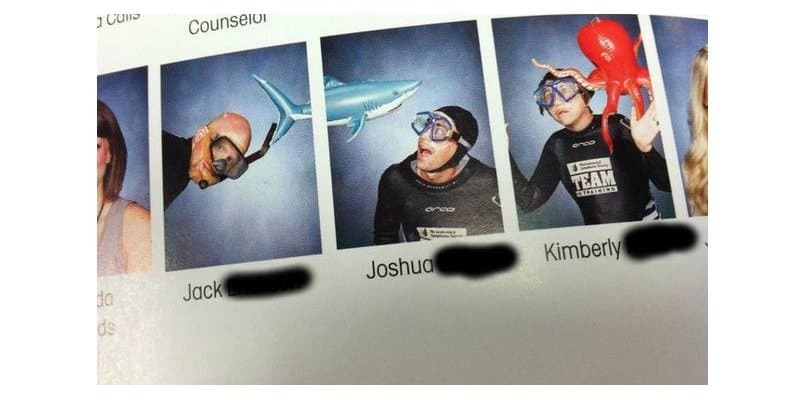 Jack, Joshua and Kimberly all deserve awards for their yearbook pictures. If only every school had a science department like this one. 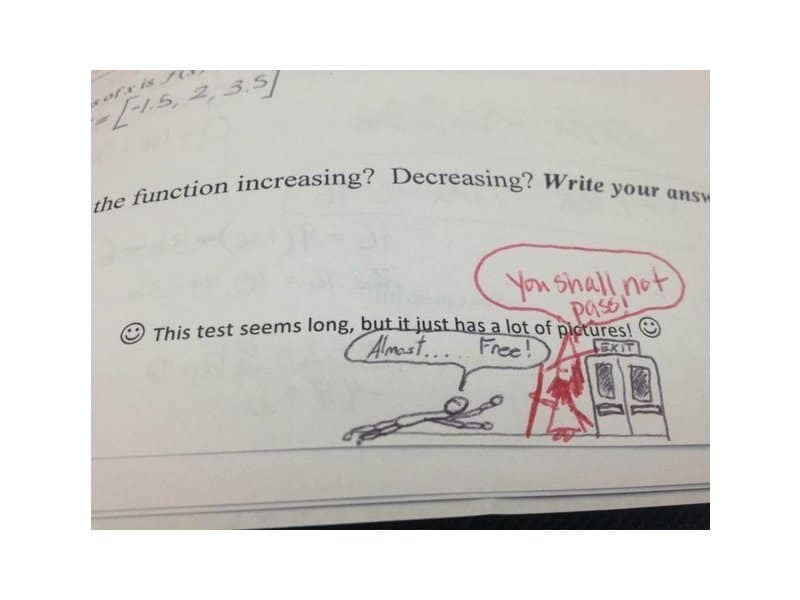 Besides the awesome drawing, we love the subtle pun from Gandalf. Cal certainly has the imagination needed to be an English teacher. 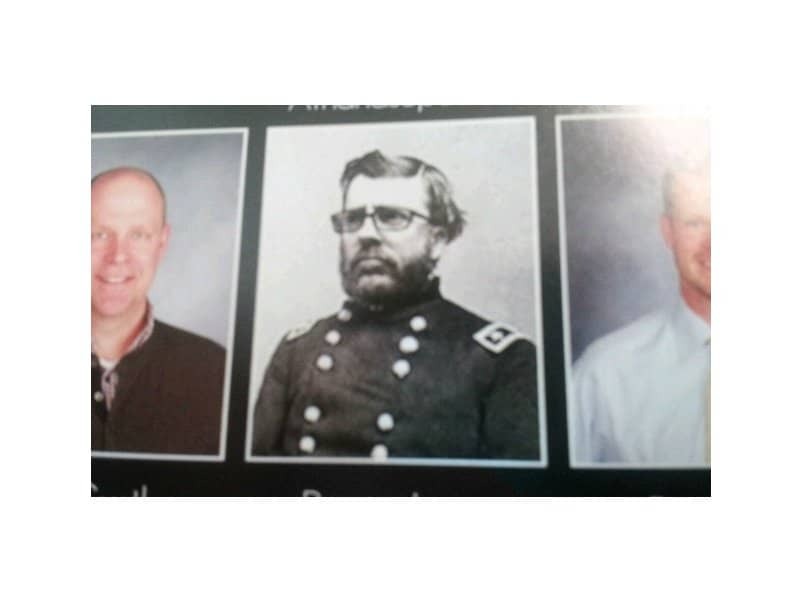 We bet he tells his classes some great stories.